I have never been a great fan of min-max gaming. I thought that I would make that statement ‘up front’ as that fact tends to have a large influence in how I approach gaming. I have never been one for spending hours building and tweaking army lists – quite the opposite in fact. I actually think my favourite way of building an army was the army generator from the Polemos Napoleonic rules where you chose the scenario you were going to play and then randomly generate a force for each side. From a historical wargaming point-of-view, it strikes me that commanders very rarely had the forces they wished at their disposal, so had to make do with what they had. The skill and bonuses the deck provides match the particular challenges of the scenario being played. it’s not the approach I take when gaming. For me, LOTR:LCG is not about beating the scenario being played (though it is always a bonus when this happens!). Rather, the game is an adventure experience, and I enjoy the story that unfolds during the game. So instead of having a deck fully prepared for the particular scenario, my thinking is much more along the lines about doing the best you can with what you have available at the time…which is really an excuse for being dealt a random deck of cards at the start of the game rather than spending hours building the ‘perfect’ deck. You can only use cards from the Core Set, plus the deluxe expansion and associated cycle packs relating to the scenario you are playing. As I understand it, all cards from a deluxe expansion and associated cycle are designed to work with each other, so this approach seems to make sense. If you are playing with a set of heroes from different spheres, you may also add the appropriate songs to you deck to allow each character to spend other sphere resources when playing cards. The result of this deck building method is that whilst your card deck has a good chance of containing cards that will be useful in the scenario you will be facing, you actually have almost no idea what is in your deck, so you will have to tailor whatever strategy you are playing to the cards you have in your hand. Again, to me this promotes the storytelling aspect of the game with heroes attempting to overcome challenges using what they have to hand, rather than the meta-gameplay aspect of waiting until you draw the deus ex-machina mega-card-combo that you have designed into your deck to deal with monster X or situation Y.
I admit that this approach will probably lead to more scenario losses, and probably synergies better with the easy game mode, which is more aimed at the adventure and story aspect of the game anyway. The counter argument of this random deck build approach would be that I am missing an entire (and some would say key) aspect of the game, a.nd probably making the game a whole lot harder than it needs to be. 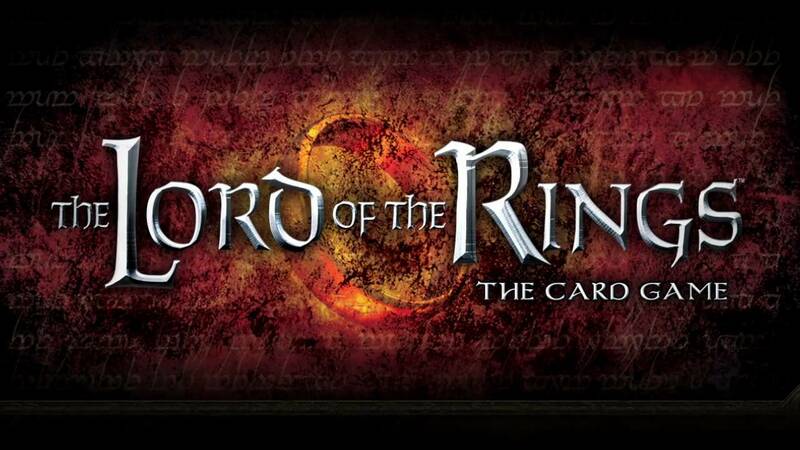 I think the fact that the LOTR:LCG can support this different style of gameplay, rather than forcing players to deckbuild, to be a strength of its mechanics rather than a weakness. As I have said before, for me, this game is all about the experience of adventuring in Middle Earth, facing the challenges of each scenario whilst spinning a tale of heroism and (more often than not) ultimate defeat and despair – which makes it all the more satisfying when you win! Playing with a random deck won’t suit everyone, but it fits with my particular approach to playing games, where storytelling is much more important than winning.